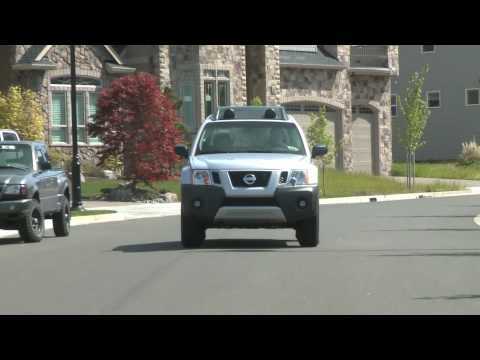 The 2009 Nissan Xterra is ideally suited for the active adventurer highlighted in so many Xterra commercials. An affordable price tag allows just about anyone to own this tough Nissan SUV, and a civilized ride makes it easy to live with in day-to-day driving. I would recommend the Nissan Xterra to anyone wanting a sporty vehicle that is also useful in so many ways. My husband and I were campers. He pulled the camper and I pulled the 18 ft bass boat. The six cylinders gave it the power to back down and back up with the boat down long boat ramps into rivers. I have also used it to pull a 14 ft trailer loaded with different things. It is 19 years old this year and has had the belts replaced and two air conditioner hoses. No other repairs on it the whole time I have owned it. I did the maintenance when it was time to do it and I am sure it has helped to make it last so well. If I was buying a new vehicle it would be an Xterra. Xterra rock and roll and are a good vehicle. This is the second one I have purchased. I love that it is dependable and save but I hate that it is a bad guzzling machine. I love sitting higher than I do in a car. I love that it is a tank. I hate that this is the base model because my other was nicer. These go more miles than other American made cars, and the feeling of safety is much better than in plastic cars. Good car for someone who likes utility vehicles and have hard winters! It's a great car for winter because it has 4 wheel drive. It's not particularly good for children or people who have a hard time getting up into the car because its higher off the ground. We haven't had any major problems considering its an older car. All in all it is a reliable vehicle.